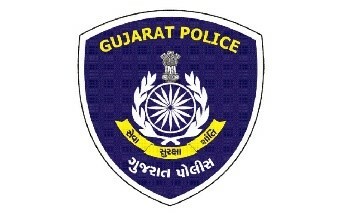 The Indian Police was established in 1861 under the Police Act, 1861 (Act V of 1861) to reorganize the police force and to make it an efficient instrument for the prevention and detection of crime. However, the organization was seen as the strong arm of the colonial state for a long time. 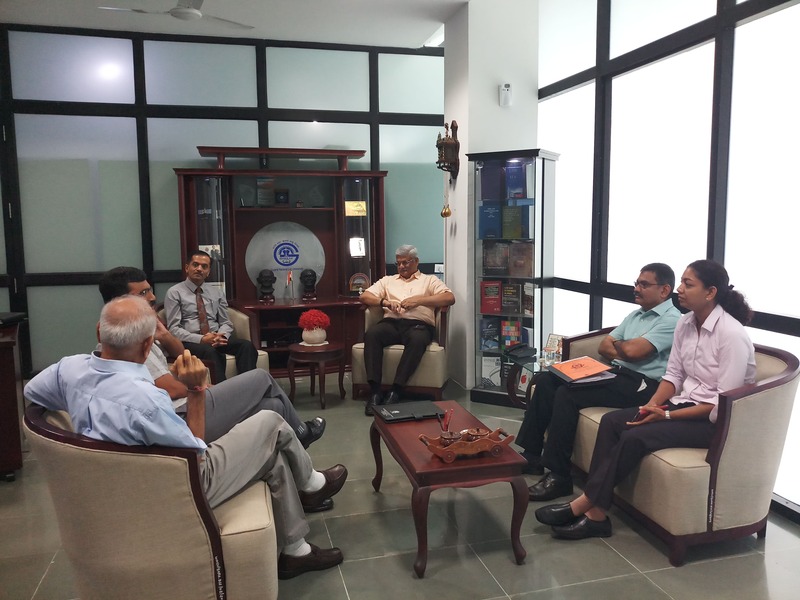 It has undergone a huge change in terms of constitutional and legislative mandate, organizational structure, role and responsibility in the post-independence period. 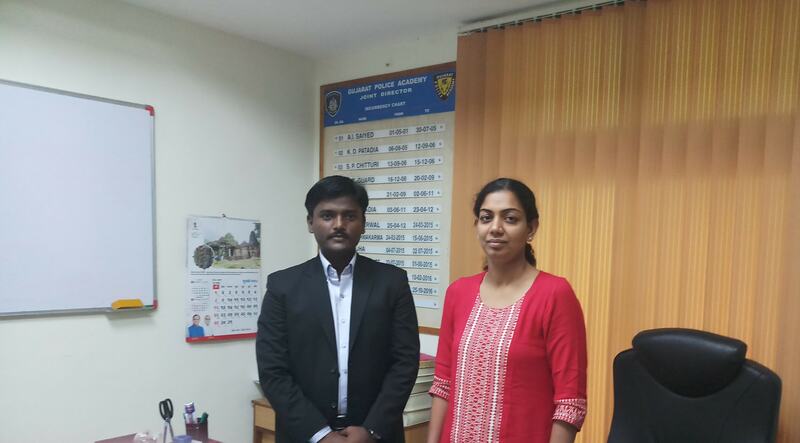 The rule of law is the basic feature of Indian Constitution and the bedrock of democracy. We need a strong law enforcement agency for the prevention, detection, investigation of criminal cases and maintenance of public order. 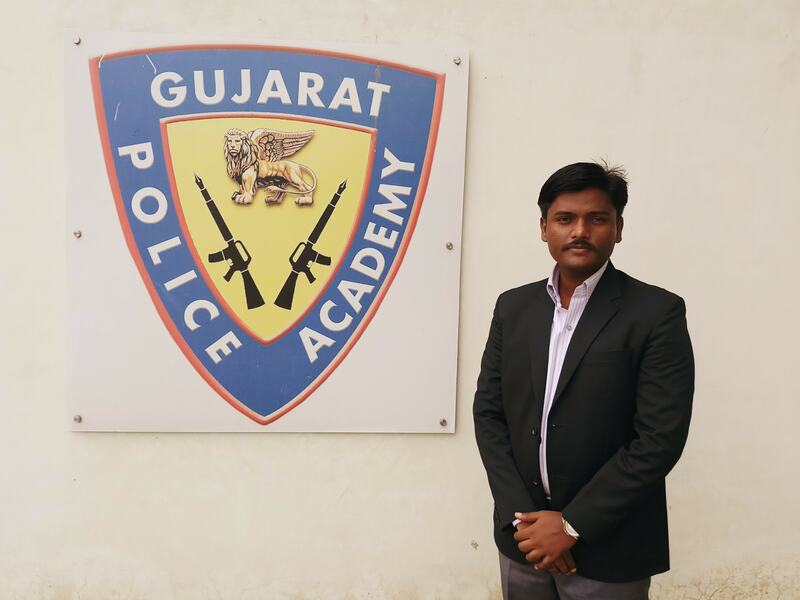 There have been efforts on the part of the Government of India and Government of Gujarat to modernize the police organization to meet the emerging challenges of law enforcement in the changing socio-economic and socio-political environment. 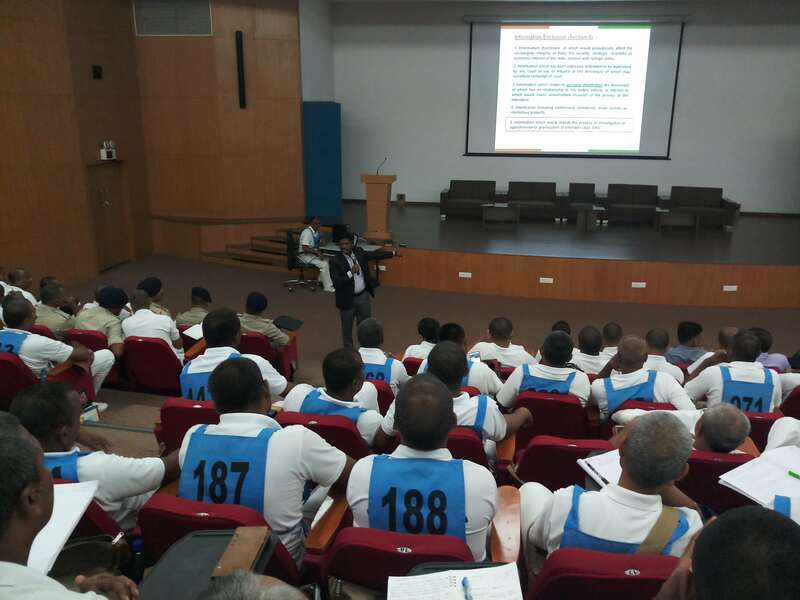 There is a felt need for academic study of issues related to law enforcement and to bring about structural, procedural, technological and operational changes to improve law enforcement activities. 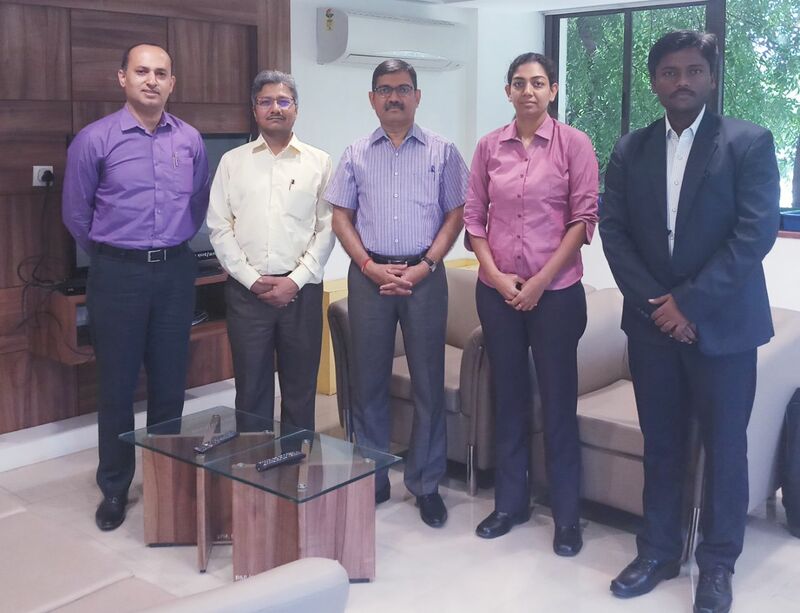 A decision was taken in the DGsP/ IGsP Conference, 2018 held in a Tekanpur, Gwalior, Madhya Pradesh to set up Police-Academia Interaction Forum (PAIF) to facilitate interaction of final year students of National Law University (NLU) with Police Officers on legal matters including issues related to forensic science for improving the quality of investigation and prosecution of criminal cases. 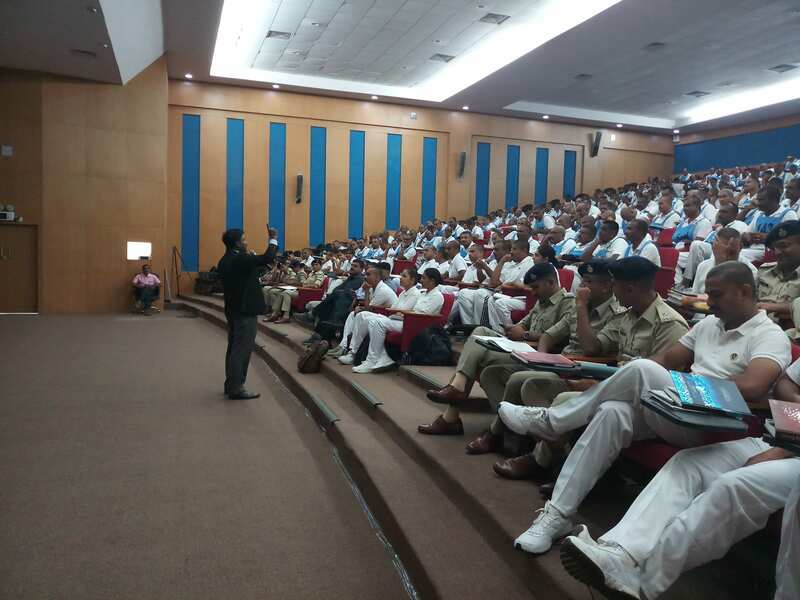 The interaction will also give opportunity to the students and the members of faculty to study issues related to law enforcement, police administration, prosecution and other issues of academic interest. Ministry of Home Affairs, Govt. 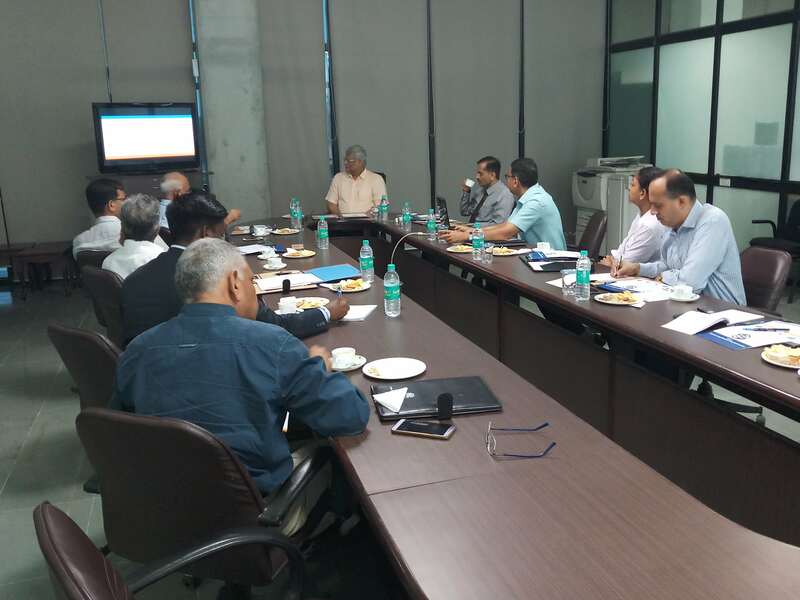 of India, New Delhi has issued an advisory to States/UTs for setting up of Police-Academia Interaction Forum (PAIF) as per the decision taken in the DGsP/ IGsP Conference, 2018. 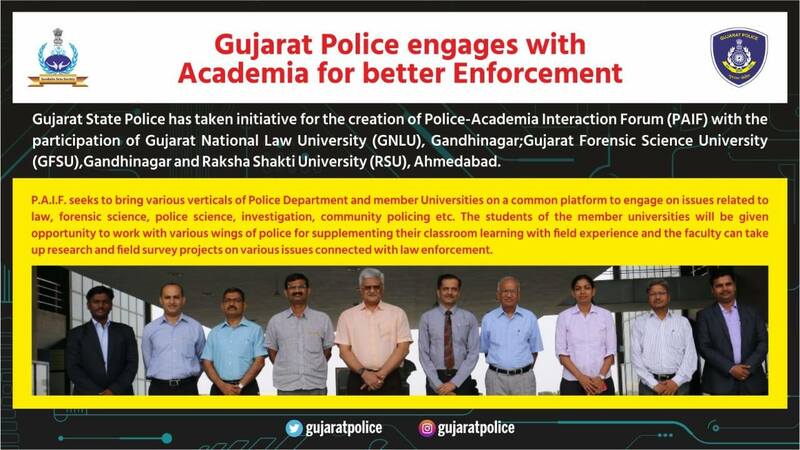 The DG & IG of Police, Gujarat has decided to set up Police-Academia Interaction Forum (PAIF) with the participation of Gujarat National Law University (GNLU), Gandhinagar; Gujarat Forensic Sciences University (GFSU), Gandhinagar and Raksha Shakti University (RSU), Ahmedabad. 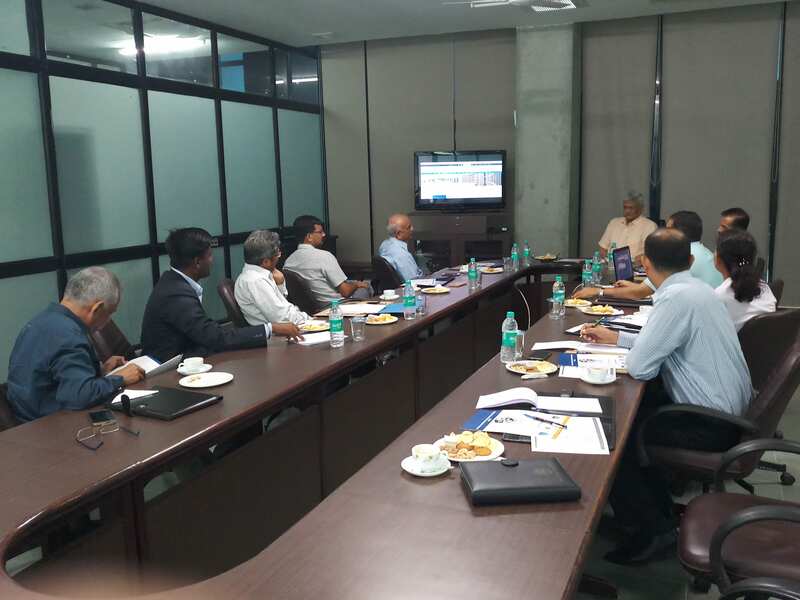 to bring various verticals of Police Department and member Universities on a common platform and to engage them on issues related to law, forensic sciences, police sciences, investigation, prosecution, community policing etc. 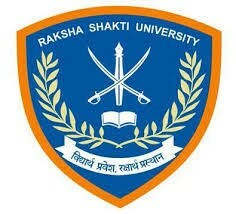 to provide opportunity for students of the member Universities to work with various verticals of Police Department to assist & encourage the use of modern forensic sciences tools in investigation, collection of evidences admissible in law, presentation of evidences during prosecution, scrutiny of judgements for the identification of key issues for plugging the gaps in investigation & prosecution. 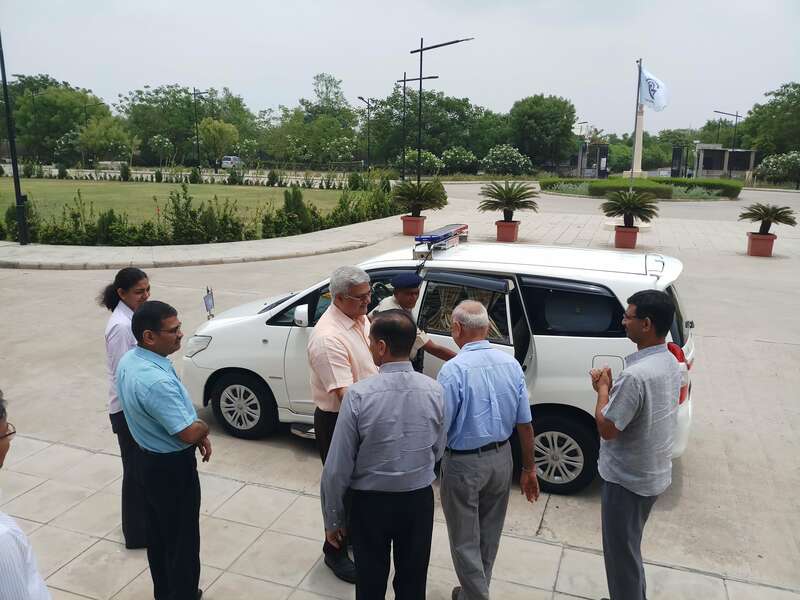 to provide opportunity for faculty of the member Universities to work with various verticals of Police Department to carry out research on issues related to law, forensic sciences, police sciences, investigation, prosecution, community policing etc. 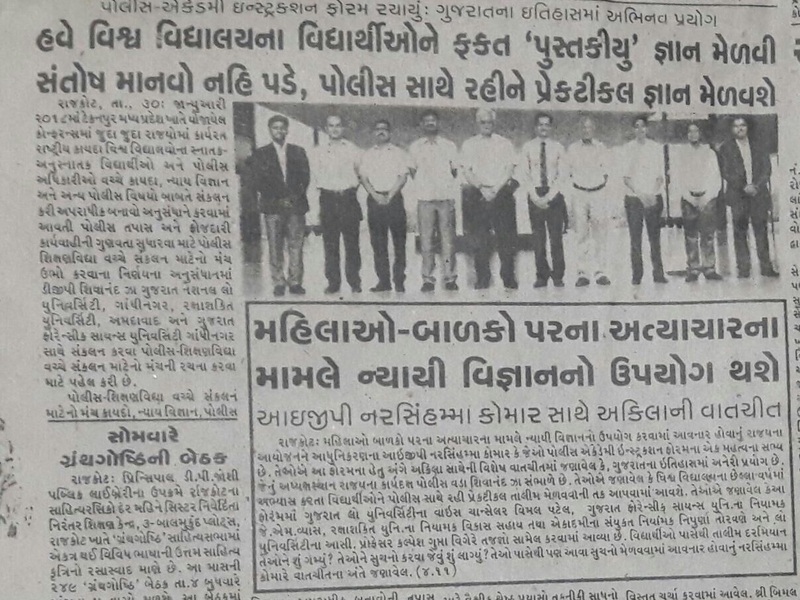 The faculty of member Universities will assist Gujarat Police Academy, Karai in the designing of special training modules, content development, revision/ upgradation of existing curriculum etc. 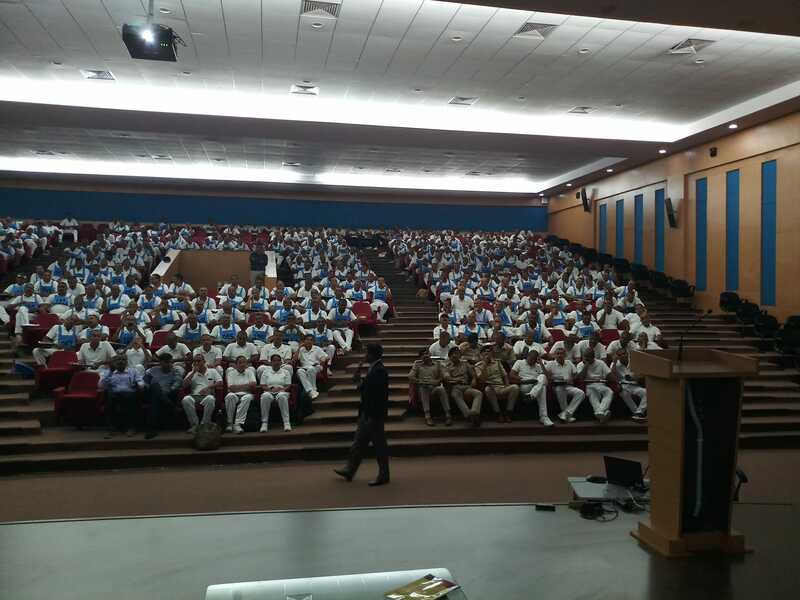 Police Department will create panel of Police Officers having expertise in certain fields to impart training to students of member Universities to bridge the gap between class room learning and professional practice. 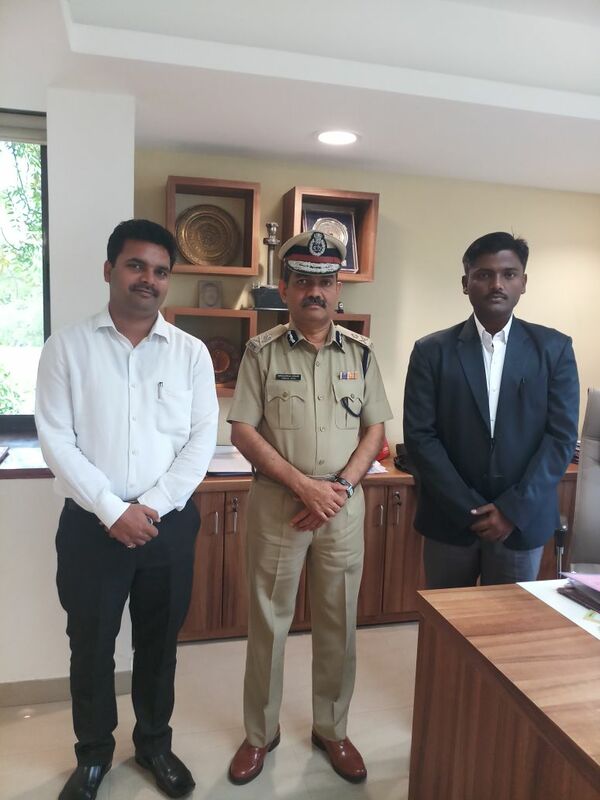 The UG/PG/PhD students will be offered internship with various verticals of Police Department based on the area of interest, scope of study, availability of resources etc. 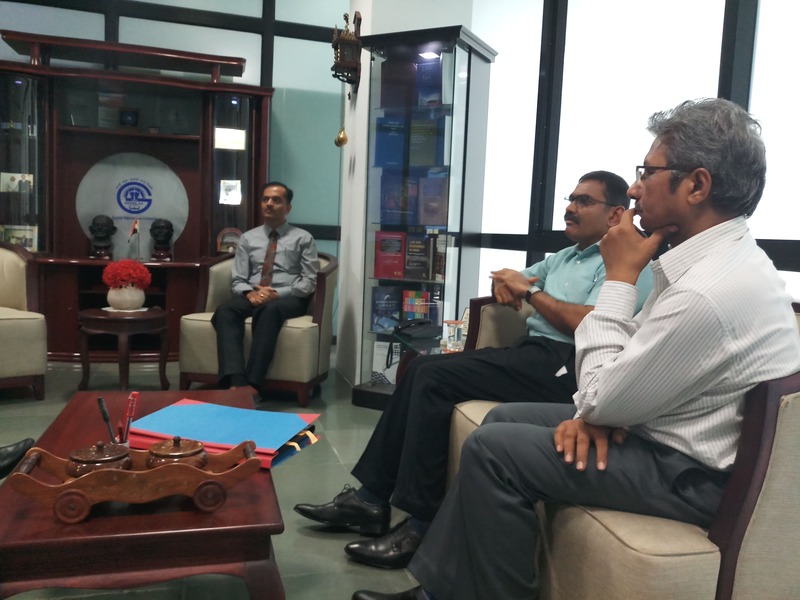 the UG/PG/PhD students and faculty may carry out field study, research projects, survey on contemporary issues. 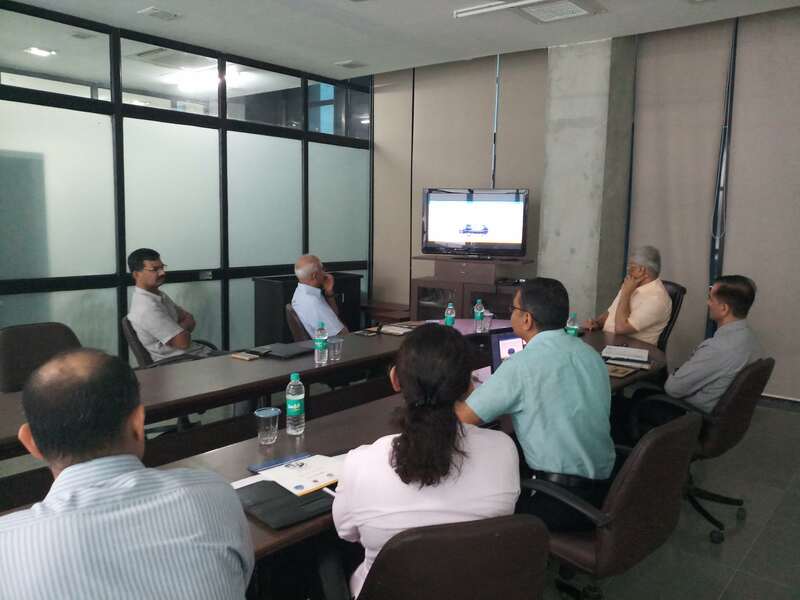 to identify areas of study/interaction, suitable students/faculty, assign study/research topics, obtain reports, scrutinize reports, evaluate the students etc. 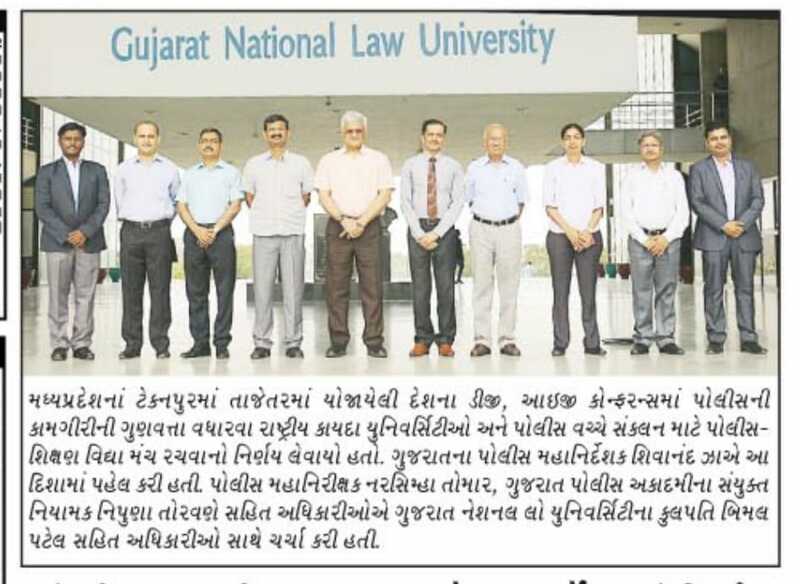 A secretariat will be set up at Gujarat National Law University, Gandhinagar under the Member-Convener of the Executive Council. 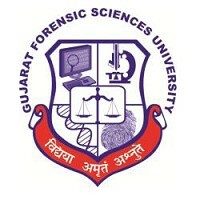 A Police Officer of suitable rank will be attached with the secretariat by the DG & IG of Police, Gujarat State and a admin staff will be attached to secretariat with necessary logistics by the Vice Chancellor, Gujarat National Law University, Gandhinagar for coordination, monitoring, documentation and day to day administration. 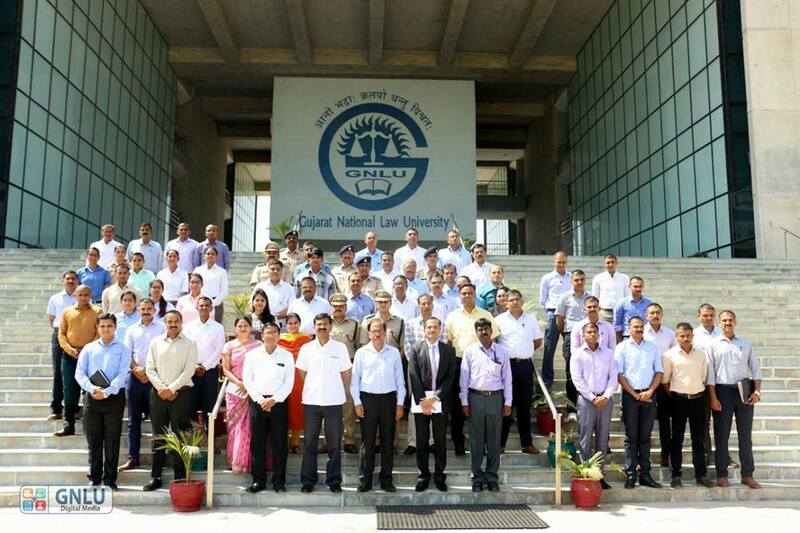 The cost of managing the Secretariat will be met by the Gujarat National Law University, Gandhinagar. 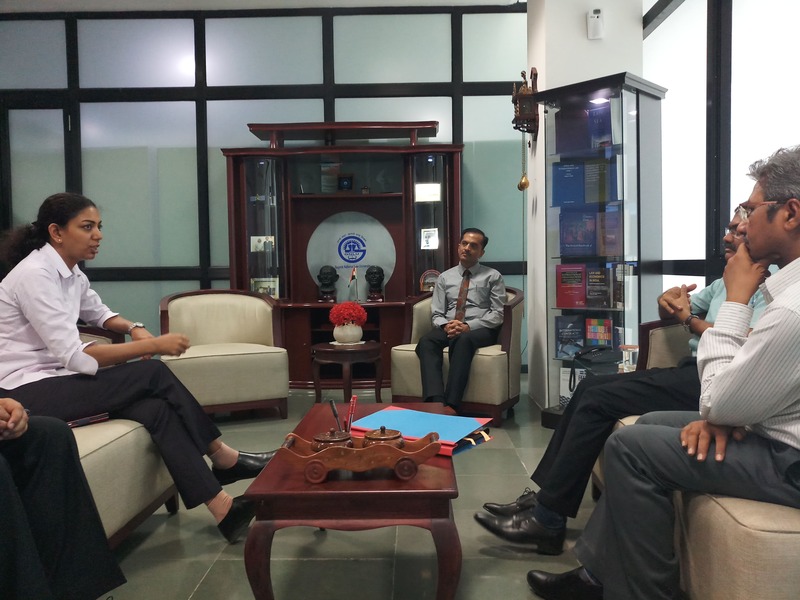 The member Universities will be nominated as lead University for various activities and they will meet the incidental expenses.